We're baaaack...from a wonderful wedding weekend in North Carolina celebrating Brandon & Miranda! We drove through lush green countryside and mountains on the way to Asheville - what a treat! Andrew was a groomsman in the wedding, as he was roommates and friends with Brandon at UT (note the Tennessee orange tie that Andrew's wearing). Brandon was also a groomsman in our wedding! Tis the season for weddings. We have 2 more to attend this year! Firstly, after a weekend of gluttony (re: made to order crab cakes & baked brie at the reception - YUM) I am ready to start healthy eating again! Secondly, I rediscovered TONS of recipes from Real Simple & Cooking Light magazines that I have saved over the years (my mom would be proud). I went through them and ripped out all the pages of recipes that I will actually cook (my mom would NOT be proud) and put them in a lil' binder for easy access. Reason #739,584,736 why I love my husband - he's a handyman! Andrew bought a circular saw with some of our wedding money and he assured me it was a necessary addition (unlike the neon signs, ahem :)) to his man cave. Well, a week later he cranks out a project using the circular saw! He put up a new fence post where our backyard gate meets our neighbors to the left of our house. After hours of sawing, cementing & drilling in the 100+ degree Texas heat...ta-da! Now we don't have to jerk our gate to get it open/closed and looks a heck of a lot better. Though we love our little house, we're finding that because of it's age (born in 1983) and the previous owner's "quick fix" approach to home improvement we're needing to make a lot of fixes. Next - siding replacement? French doors? Master bath remodel?! AND, Andrew found a baby birdy in the tree on the side of the garage! For 4th of July weekend, we went to Houston to hang out with Andrew's Uncle Jeff and Aunt Marjorie. Twas a great time! We ate lots of indulgences - Aunt Marjorie's "Grandma beans" & THE BEST potato salad to ever cross my lips, Black Eyed Pea Dip (very yummy and actually not too bad-for-you), Bloomin' Onion Bread (O.M.Good.God. 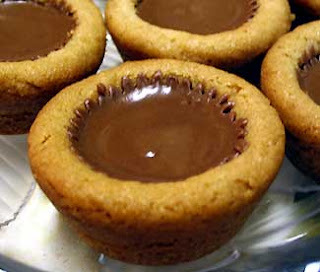 so good, I ate nearly half the loaf), and my famous Reese's in a Cookie (can't you just taste it?!?). We also made Michelada's (eh, not for me) and drank lots of beer floating in the pool. Smokey got to hang out with his cousins Baxter (fellow wiener dog) and Bear (little poodle, so cute). I am running a 1/2 marathon in October! See Jane Run 1/2 Marathon - supposedly we get chocolate and champagne at the finish line - why wouldn't I?!?! The last (and I thought would be the ONLY) 1/2 marathon I ran was the San Antonio in 2008. I didn't train as well as I should have, along with my poor hip strength & core stability made for a painful and demoralizing finish. This time I'm motivated to run it with a bunch of lovely ladies, and my PT co-worker+friend Cindy is my running coach! I ran 6 miles on Sunday without a problemo!